Now that you have finally accomplished your journal article and have already made sure the article is 100% mistake-free, it is time to submit and forward article for review. Article. The journal article submission should demonstrate clear thoughts of the author by choosing words composed in direct, responsible and active syntax. If your paper was found deficient in style, form or clarity, your article will most likely be rejected and returned. Abstract - A brief abstract stating the principal points and concluding statements of the paper should be included in your submission. Ideally, an abstract should come out as a shortened version of your paper. Make sure it is short enough to submit; otherwise you'll have to rewrite it until it satisfies the word limit. Equations - Special typographical considerations and additional space and margin area should be provided to equations. Illustrations - Illustrations must be properly referenced in the text of your article, and numbered chronologically. Different journals have varying guidelines for submissions with illustrations but most of the time, submitting articles with illustrations produced by office-type copying machines is unacceptable and will therefore be rejected. Manuscript Format. Manuscripts should be double-spaced and typewritten with wide margins on one side of an 8 ½ x 11 inch paper. References. Reference entries should be numbered consecutively in the text with the use of bracketed numerals and listed in the same order at the end of the paper. Sources should be properly referenced, indicating the author/s' name, initials, the title of the source article, journal or book, volume, initial page number and the year of source publication. Submission. Journal submissions for review and publication should be submitted online. Submission of a manuscript is a representation that the paper has not been previously submitted in any publication elsewhere or published in any open literature. It also represents that the author/s have not assigned or transferred copyright for the material. Page Proof. This will be sent to the author for proofreading and making revisions as instructed by the editor, before finally returning it to the editor. For most journals, you will need to write a cover letter that will indicate the title of the paper, the name of the author/s and the main idea or contribution of your article. You're probably thinking keywords are not that important. Think again! Keywords actually matter immensely for a number of reasons. 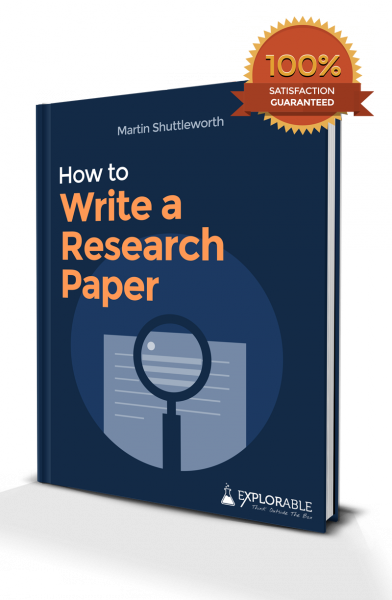 Since keywords primarily describe the content of your paper, these may also at the same time play a factor on how the associate editor will distribute your submission amongst reviewers. Once your paper is accepted, keywords help other researchers locate your paper whenever they're in search of references in the same topic or field. Now that you now how important keywords are, take some time in determining keywords that will represent your work. If you have had previous conference work, this short one-page document provides a description of the extensions and changes or differences of your journal article submission from your conference work. Since a journal submission is supposed to be a more "detailed" or "complete" work, you need to document and present all the differences between the current and the earlier work. Some journals allow researchers to suggest reviewers by submitting a list of reviewers and associate editors they prefer or do not prefer. Although this is not necessary, some researchers feel there are particular individuals or research groups who might better understand their work. After finally clicking the "Submit" button, you will be asked to accomplish an online copyright form. It's very simple for all you have to do is follow the provided instructions and type in your name to confirm that you agree to the rights and guidelines. Hopefully these tips helped. Good luck with your submissions!